'Dark, dangerous and intricately plotted - my heart literally pounded. I haven't been this addicted to anything since Serial. Holly Jackson is the next big thing, I promise' - Laura Steven, author of The Exact Opposite of OkayA debut YA crime thriller as addictive as Serial as compelling as Riverdale and as page-turning as One of Us Is LyingThe case is closed. Five years ago, schoolgirl Andie Bell was murdered by Sal Singh. The police know he did it. Everyone in town knows he did it. But having grown up in the same small town that was consumed by the crime, Pippa Fitz-Amobi isn't so sure. When she chooses the case as the topic for her final project, she starts to uncover secrets that someone in town desperately wants to stay hidden. And if the real killer is still out there, how far will they go to keep Pip from the truth . . . ? 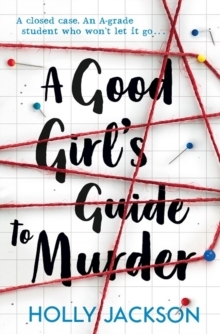 Perfect for fans of One of Us Is Lying, Gone Girl, We Were Liars and RiverdaleHolly Jackson started writing stories from a young age, completing her first (poor) attempt at a novel aged fifteen. She lives in London and aside from reading and writing, she enjoys playing video games and watching true crime documentaries so she can pretend to be a detective.